Today, it is my pleasure to introduce you to the company “Confused Girl in the City“. The lovely founder, Giovanna, spotted me on Instagram and invited me to join her group of brand ambassadors. Thank you, dearest reader, for being part of the Mendocino Healing community! I value and appreciate you! Today I would like to share some exciting news with you and tell you a little more about my yoga journey. Today, June 9th, is a Full Moon! A time to pause and celebrate all the blessings in your life. What better way to reflect on the energies of the full moon than with a guided meditation? Aligning yourself to the phases of the moon presents you with the opportunity to tune into your own rhythms. 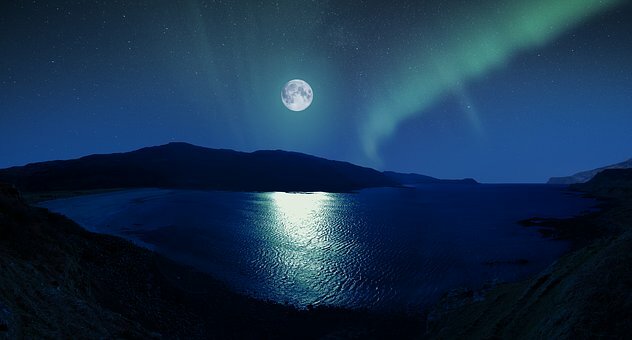 Have you ever noticed how the moon can shift your energy or the way you feel?